Please join us in the Parish Hall from 9:00 – 9:30 AM this Sunday, January 13, for coffee and doughnuts to welcome our newest friends to Grace. This informal gathering, held on the second Sunday of every other month, gives each of us an opportunity to share a conversation or two with friends familiar to us and those we have not yet met. Come spend some time with us! 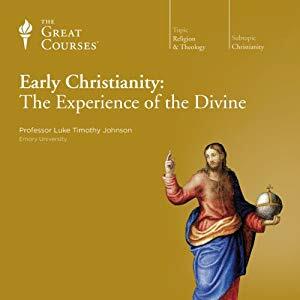 On January 13, the Seekers Adult Sunday School class will begin a new course from the Great Courses series entitled Early Christianity: The Experience of the Divine. The program is a video-based course by Professor Luke Timothy Johnson of Emory University. We will watch the videos together and discuss. The Seekers class is facilitated by Chaudron Gille and meets in the conference room of the Grace Center from 9:30 – 10:30 AM on Sundays. All adults are invited to participate. Phileena Heuertz will lead a half-day retreat on Saturday for registered participants. On Sunday, January 13 she will preach at both morning services and be available to sign copies of her new book, Mindful Silence: The Heart of Christian Contemplation. Please help welcome Phileena to Grace Church. Most Wednesdays during the church school year, our Grace Church family gathers for food and fellowship. Come eat dinner together on Wednesday, January 16 at 5:30 PM! Reservations are due by 12:00 PM on Monday. Sign up online, at the information station, or call the church office. Adult meals are $10/each and youth meals (grades 6-12) are $5/each. There is no charge for children 5th grade and under. Please visit our website for additional payment and policy details. Program There is no program scheduled following dinner on January 16. Over 100 women are registered to attend the 2019 Grace Church Women’s Retreat in Montreat, North Carolina from January 18-20! Led by CeCe Balboni, they will learn how to use the ancient spiritual tool of the enneagram to enrich their connections to themselves, one other, and to God. Please keep them in your prayers while they are away! As you are cleaning up and clearing out after the holidays and thinking ahead to “Spring Cleaning”, please keep the Grace youth in mind. They will hold a Yard Sale at the church on Saturday, March 2 to raise funds to help offset the cost of the youth Pilgrimage to Scotland and Iona. However, WE NEED YOUR HELP! In order to have enough quality items to sell, we are asking parishioners to please set aside items that you might otherwise give or throw away and consider donating them to the yard sale. Small electronics, furniture, sporting equipment and housewares are popular items. All items should work, have all their pieces, and are in reasonably good shape. The youth and leaders would also appreciate additional volunteers to help with this event! Please check your calendars to see if you might be available on Friday, March 1 to help set up and price items or to help load unsold items and tear down tables following the sale on Saturday, March 2. We will also need volunteers with trucks to help haul off items to designated donation spots following the sale. Even one hour of your time will be so helpful! You can also help by coming to shop on Saturday, March 2! Already we have some very nice furniture, computers, printers, misc. electronics, holiday decor, bedding, toys, china, planters, and some really pretty art! You’ll hear more about the sale in the coming weeks. Contact Scarlet Pendarvis for more information, to volunteer, or to donate items. Thank you in advance for your help in any way that you can give it.